This game is not only a PANG series clone, it is much more, characters can jump, you will find zone handicaps as moving platforms, wind ripples and dimesional portals and also a mega zone boss. 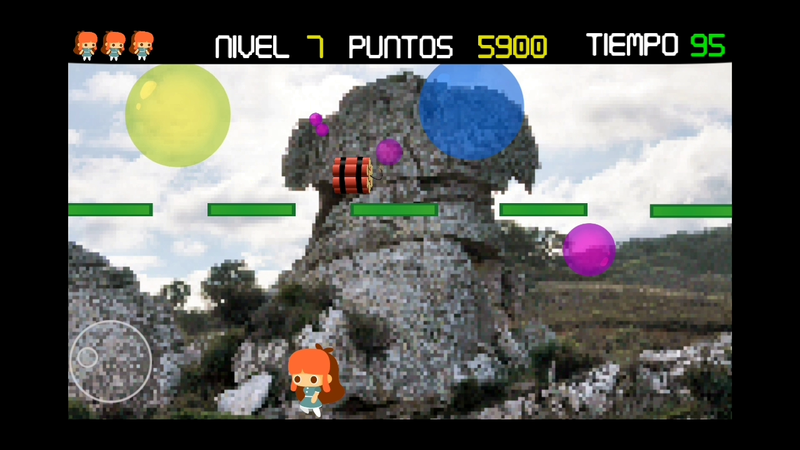 Fight against soap bubbles in a total of 5 zones, 30 levels and a mega boss level that will make you revive the old PANG times. 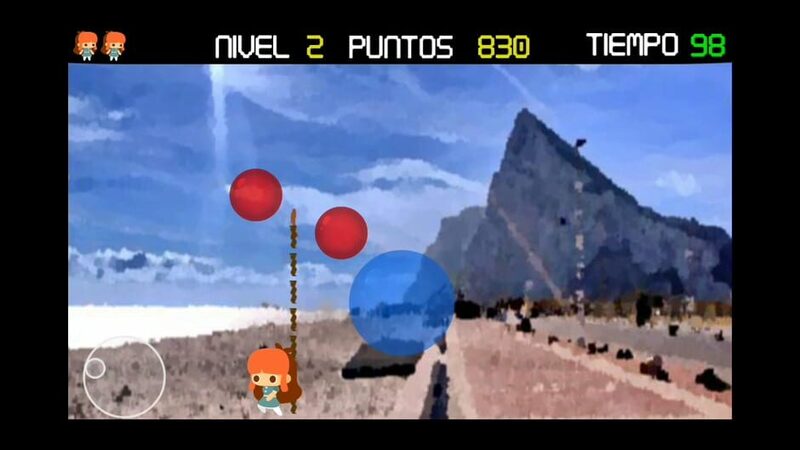 There are far more images available for Nayra´s Popstactic Adventures in Cadiz, but these are the ones we felt would be most useful to you. If you have specific requests, please do contact the developer!